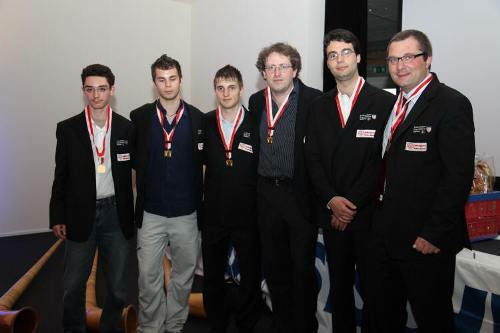 Mitropa Cup 2010 was held from May 29 to June 6 in Chur, the oldest city in Switzerland. Germany, Switzerland, France, Italy, Slovakia, Croatia, Slovenia, Austria, Czech Republic and Hungary competed in the men and women team events. 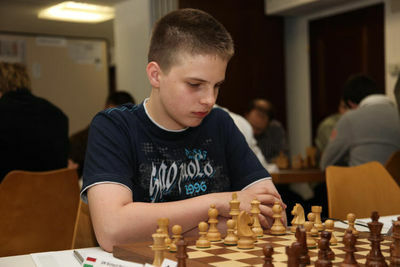 The Mitropa Cup is the annual team chess tournament for national teams from Central Europe. The word Mitropa is a derivative of German Mittel Europa (Central Europe). The idea of the Mitropa Cup came from Gertrude Wagner (1925-2009). She, together with her husband Karl and the president of the Austrian Chess Federation Kurt Jungwirth were the founders and organizers of the tournament. Italy arrived with the strongest possible lineups and the dedication paid back as both men and women teams took gold medals in the respective groups. This is the first gold for Italian men since the inception of Mitropa Cup, while the women team was already champion once. Italian women (IM Elena Sedina, IM Olga Zimina, WIM Marina Brunello) acquired convincing lead three rounds before the end and then routinely maintained the advantage to take the trophy with 13 match points, two ahead of the silver Slovenia and bronze Hungary. The men’s tournament saw much more excitement. Italy split points with Germany and won other matches in the first seven rounds. Meanwhile, Hungary also won six matches, but suffered a defeat against Switzerland. In the derby match in the 8th round Italy enters with a point advantage ahead of Hungary. 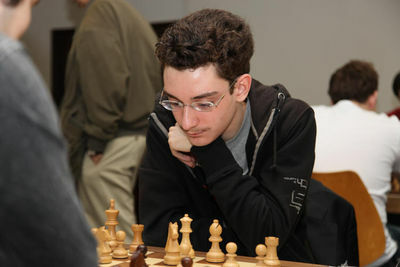 After fierce struggle, the match ended in a tie (Caruana – Rapport draw, Godena – Papp draw, Vocaturo – Szabo 1-0, Brunello – Pap 0-1). In the final round Italy took a quick 2-2 tie with Switzerland, because even in the case of first place tie, they held a superior tiebreak (sum of individual scores). Hungary drew Slovakia 2-2 and took a silver medal. Bronze goes to the hosts from Switzerland.